Cast spells in style with magic runes! 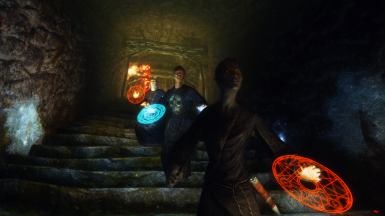 Glowing glyphs will appear when casting spells or scrolls. Apocalypse, Lost Grimoire and Forgotten Magic Redone compatible. Ward spells and ritual master spells plus fixes. See changelog for details. 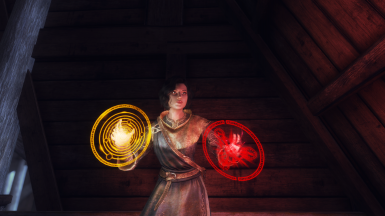 When casting spells or scrolls, glowing runic circles will instantly appear from your hands. They emit light. Runes will automatically dispel themselves on sheathing them or if sneaking or turning invisible (this can be toggled on and off in MCM). NPCs can also cast runes. This can be disabled if needed. There are over 55 different types of runic circles which will form based on the spell that is being cast. 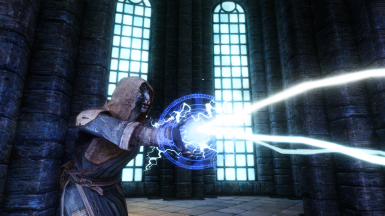 It is also compatible with every single spell mod by default, with additional support for Apocalypse, Lost Grimoire of Skyrim, and Forgotten Magic Redone spells. No patches needed. 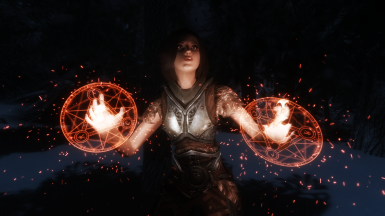 This has been tested with Magiska, Mystic Knight, and Finally First Person Magic Animation mods. Magiska and Mystic Knight will need a patch which can be enabled in the MCM. 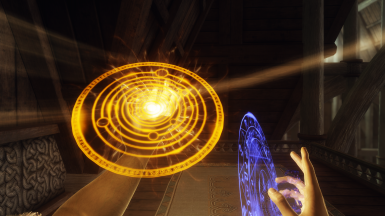 Finally First Person Magic Animation is compatible with or without this patch. 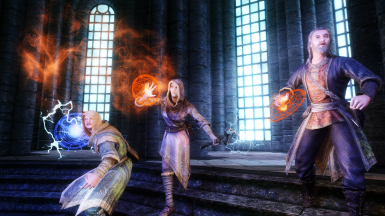 Other animation mods will probably be fine at the risk of some clipping. Comes with options for 2K and 1K textures. - Some fixes added in MCM for users that couldn't get runes to show. 1. 75 NPCs are supported at this time. 2. 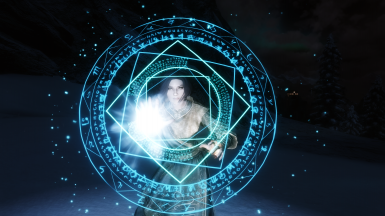 This mod works by checking for vanilla magic keywords, so generic runes will be cast for spell mods which lack them. 3. 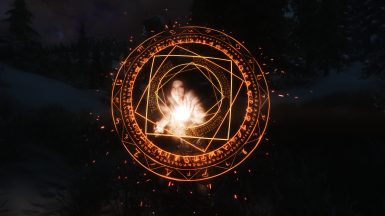 Three options for ward spells - vanilla, with light/aqua runic circles/amber runic circles. 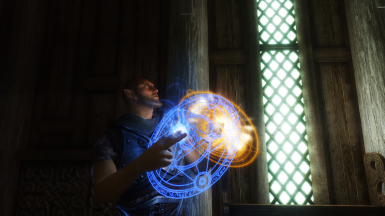 Place this after any spell mods you have. ObsidianDawn for the arcane circle brushes used. Anton0028 for his behaviour file creator.